Tomorrow, which is Friday July 20th is the first day of Ramadan, It is the Muslim month of fasting, in which Muslims refrain from dawn until sunset from eating, drinking, and sexual relations. Muslims fast in this month for the sake of demonstrating submission to God, and to offer more prayers and Quran recitations (wiki). It’s the month of Quran, since the Quran was revealed to Mohammad in Ramadan. 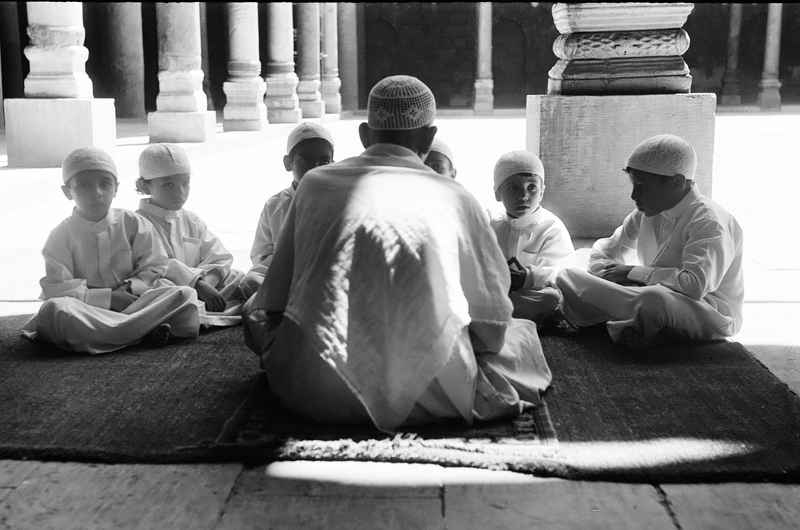 Taken at Ibn Toloon’s mosque at Salahuddin Citadel, Cairo, Egypt. July 2011. Taken with Zorki 4, a rangefinder film camera, with Ilford XP2 super 400 film, one of my favourite black & white films.